A Pathologist is a consulting physician who spends five or more years beyond medical school specializing in the study of all manner and type of disease. Even though your Pathologist is directly involved in caring for you, you’ll probably never see him or her. After all, a Pathologist is a specialist working with your doctor and providing additional expertise as needed. What happens after my tissue or body fluid sample is taken? Once your doctor has taken a sample, the specimen goes to the laboratory where a highly qualified team of pathologists, technologists and technicians uses the latest in medical science and technology to prepare and test it. Striving to gain insight into your health, the pathology and laboratory team examines the sample and looks for irregularities. This team is under the direction of a pathologist laboratory director. Your test results are prepared and delivered to your physician in a timely manner. Your doctor reviews the results and communicates with you. Every step of this process is accomplished with strict confidentiality. Why am I getting a bill from Southern Pathology and/or Molecular Medicine when I have never been there? Pathology is a professional specialty service separate from your doctor’s, therefore requiring separate billing in many instances. Your specimen was referred to us for evaluation. 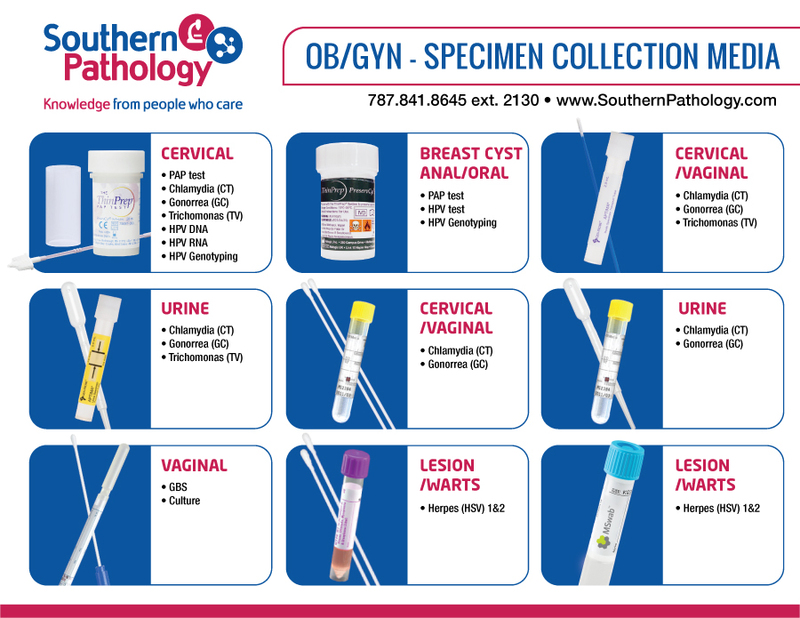 Our team has processed your tissue sample or cytology per your physician’s request. Because of the testing result provided to your doctor by us, he/she is able to treat you accordingly. If you have not already done so, please submit your health insurance information to us promptly so we may bill your health insurance provider within the allotted time frame. If you do not have health insurance or your health insurance does not cover the specific service provided to you in full please contact our billing department for payment options. We will be happy to assist you with any questions you may have. If you would like to pay via credit card or debit card please complete and sign our credit card authorization form (link to pdf) and fax to our billing department at (787) 848-4043.